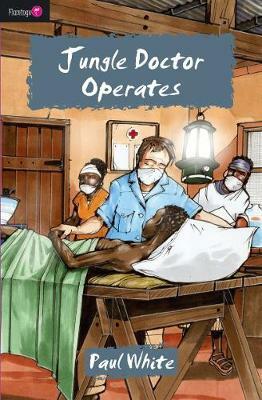 This Jungle Doctor book will take you into adventures with a missionary doctor in Tanganyika (now Tanzania). The characters experience everyday problems in a jungle sort of way - with hilarious outcomes and practical applications. The Jungle Doctor has many challenges to deal with - for example running a surgical theatre in the middle of the African Jungle. There are urgent operations to perform and life saving surgery needed - but they don't always have all the tools necessary. However, that doesn't stop them. 'Do it yourself' could well be the motto of the Mvumi hospital. A football, some parts of a stethoscope, an ancient foot pump and an empty pickle bottle provide, for virtually nothing, an anaesthetic machine which prevents suffering and saves lives.